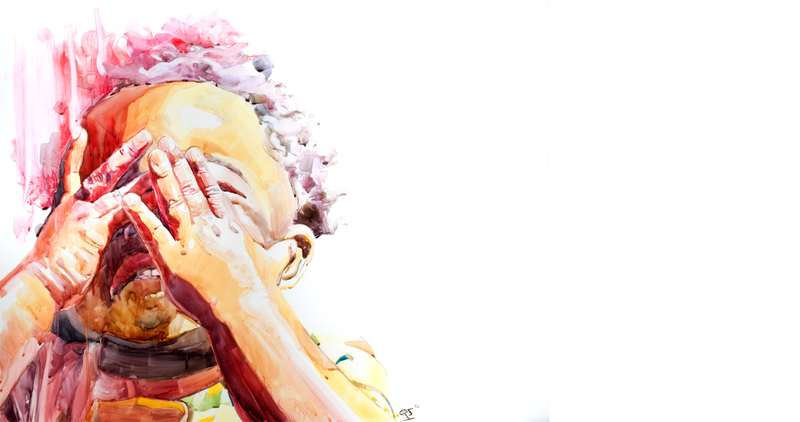 Darius Steward is a watercolor artist whose work expresses social issues of identity, commodity, race, and the placement of African Americans within Western culture. With beautiful colored hues surrounded by stark white spaces, Darius successfully draws our eye to the focal point of the piece - an African American starkly contrasted with a white background. His art opens up a dialogue concerning displacement, voice and identity amongst African Americans. He says: "As a Black artist I am obligated to present my thoughts and emotions on issues I face. Often times, we must ask: Do we have an identity? Do we even have a voice? Are we grounded or are we unstable? I must create work that attempts to ask questions that will ignite conversations centered on these issues." Through his work, Darius says that he is always trying to find his place within the art world. We invite you to view his work and see for yourself.